Traditional spring closed clothes pegs with wooden body and metal spring. 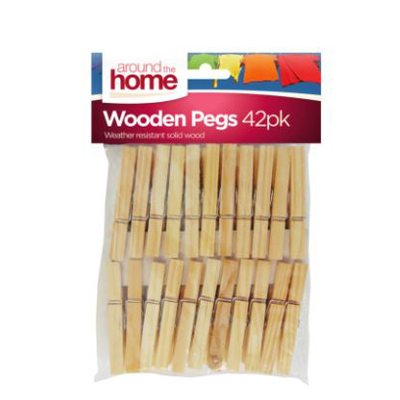 These pegs offer a quick, easy way to attach washing to clothes lines and aerators. Laundry needn't be a huge hassle! Here at Gompels we stock a wide range of laundry detergent, and fabric softener; we even offer laundry baskets to make emptying your machine a breeze.